Morning drive to Narendra nagar. On arrival check in at Hotel Ananda Spa - In the Himalayas, a destination of spa, that looks down into the Doon valley from its majestic height of 3000 feet. Crowning a picturesque ridge of the mighty Himalayan ranges. Evening free for leisure in Ananda "Ananda is the spiritual pathway to the ultimate, discovered through the union of body, mind and soul". Dinner and overnight stay at hotel. 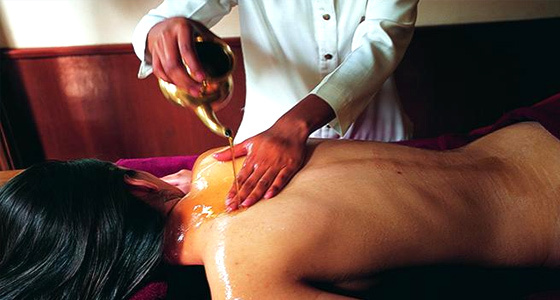 With unique focus on the traditional Indian sciences of Yoga and Ayurveda; Ananda Spa creates the skillful synthesis between age-old therapies and modern spa technology. The personalized therapy and activities programme are designed to meet individual needs and health goals – de-stress, detoxification and cleansing, deep relaxation, anti-ageing, weight & inch loss, while also offering guidance in the areas of nutrition and exercise. 24 treatment rooms with specialized areas for Ayurveda, Oriental and European systems of holistic health, a team of qualified nutritionists, Western & Ayurvedic physicians, spa therapists with knowledge of ancient Indian sciences and modern western treatments – all gently guide you towards a better lifestyle. Ananda Spa also offers a temperature controlled outdoor lap pool and a state of the art 16-station life-cycle gymnasium. 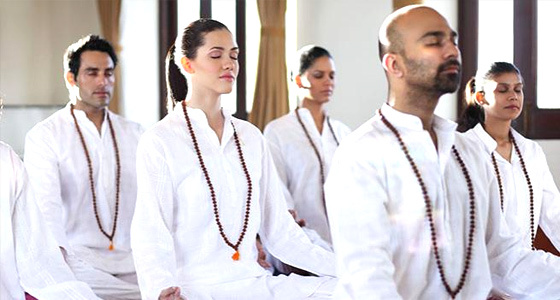 Morning enjoy the Yoga, Meditation, Pranayama, Vedanta and Fitness sessions, Post breakfast enjoy the Hydrotherapy Facilities such as Steam, Sauna, Plunge Pool, Hydro Foot Bath. Post Lunch enjoy the excursion to the Kunjapuri Devi Temple at the top of hill where one can view Max. Himalayan Ranges. Kunja Puri Devi Temple is one of the Shakti Peeth of Goddess Sati. Dinner and Overnight stay at hotel. Morning enjoy the Yoga, Meditation, Pranayama, Vedanta and Fitness sessions, Post breakfast drive back towards the Delhi.